A soft, luxurious fabric made of protein fibers produced by silkworms. It has a natural sheen, good absorbency, drapes well, and is easily dyed. Degrades with heat and perspiration, and weakens when wet. Not sure how to go about removing stains from silk? You’re not alone. Sweat stains on silk items are particularly tricky (and a bit off-putting), but you don’t want to run to the dry cleaners for every little stain and spill – especially because they can set-in stains. You can also save a lot of money and keep your silk items looking their best by removing stains from silk at home. 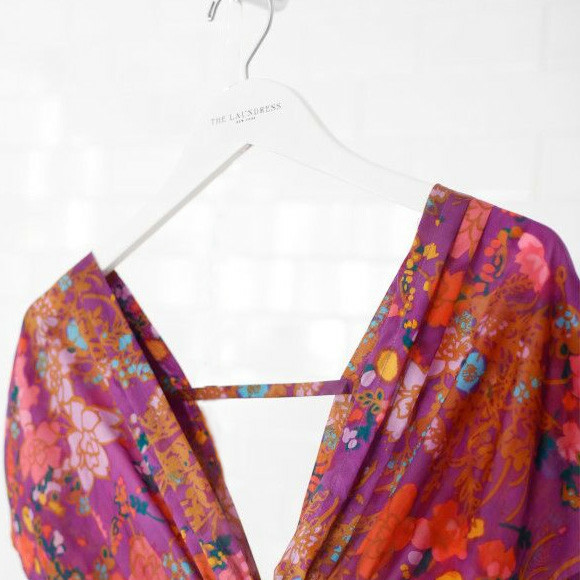 Silk is a gorgeous indulgence. 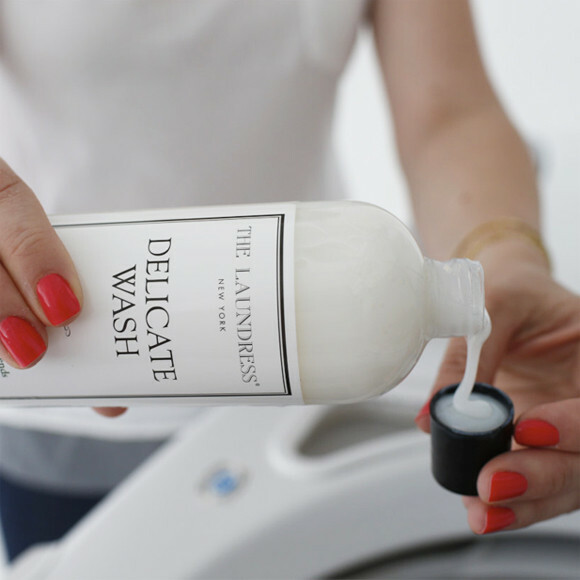 It also is one of the fabrics we get the most questions about at The Laundress, which is why we created an eco-friendly line of stain-fighting fabric care products like the Stain Solution and the Wash & Stain Bar. Together, these two powerful cleaning solutions can tackle sweat stains on silk and more, including wine, coffee, ink, dirt, makeup, oil and more. For more tips on removing stains from silk and home cleaning ideas, check out the Clean Talk Blog and keep reading for detailed silk washing, drying, and storing instructions. 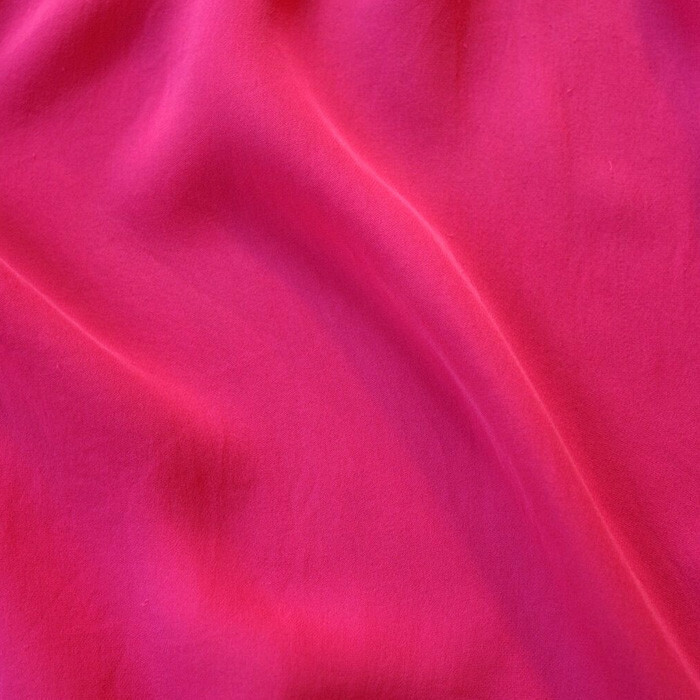 While silk is washable, the dyes are often not stable to wash. If color-blocked or printed, test for color bleeding to ensure best results. Silk can also have finishes that may be removed with washing; for example, a smooth hand may become pebbled. Perform a water test to ensure best results. Pretreat and spot clean stains with Stain Solution or the Wash & Stain Bar . 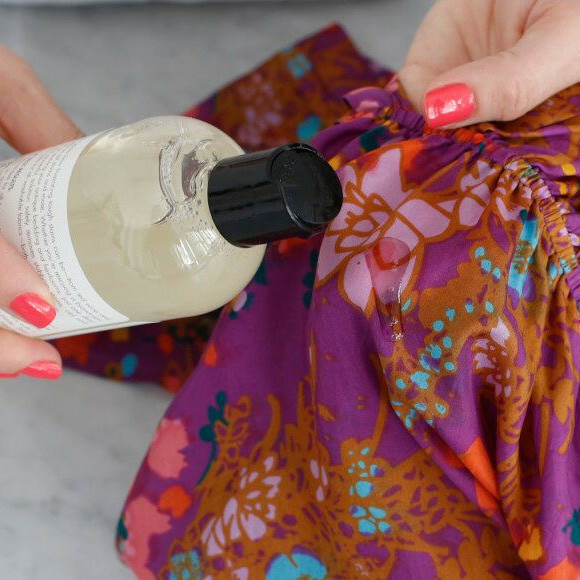 To remove odor from a viscose item, presoak it lukewarm water mixed with a ¼ cup of Scented Vinegar. Handwashing is always the best and safest method for washing silk. Most silk items will be wrinkled after laundering. 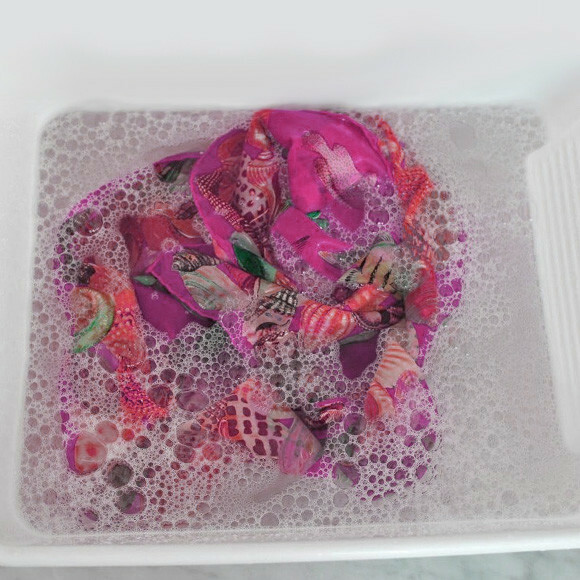 We recommend steaming to remove wrinkles and rejuvenate the natural luster after washing. If ironing, use the lowest temperature setting and iron on the wrong side of the fabric (with the garment inside out). A pressing cloth between the iron and item will be safest. 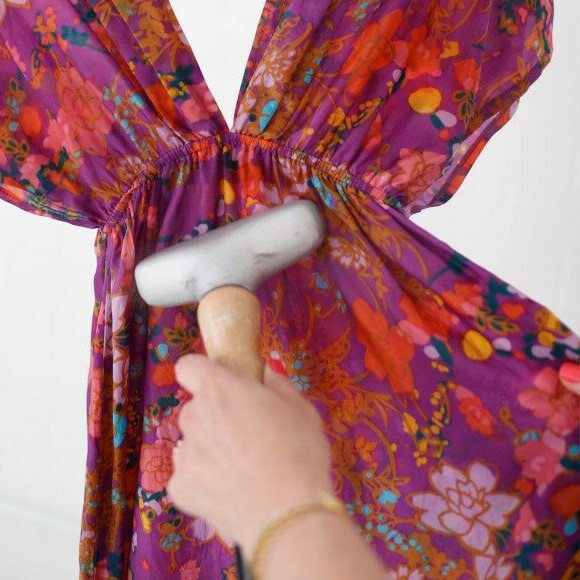 A silk item such as a skirt or dress can be hung on a hanger; however, be mindful of clips because they can leave marks on the material.